Funk: It's the only musical genre ever to have transformed the nation into a throbbing army of bell-bottomed, hoop-earringed, rainbow-Afro'd warriors on the dance floor. Its rhythms and lyrics turned bleak urban realties inside out with distinctive, danceable, downright irresistible music. Funk hasn't received the critical attention that rock, jazz, and the blues have-until now. 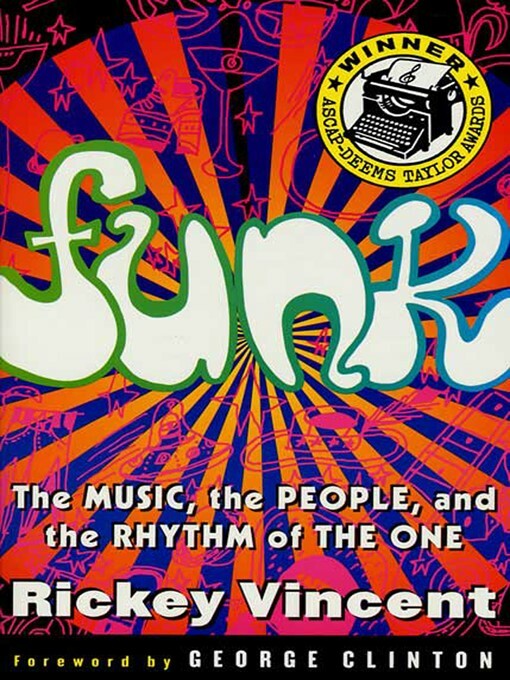 Colorful, intelligent, and in-you-face, Rickey Vincent's Funk celebrates the songs, the musicians, the philosophy, and the meaning of funk. The book spans from the early work of James Brown (the Godfather of Funk) through today, covering funky soul (Stevie Wonder, the Temptations), so-called "black rock" (Jimi Hendrix, Sly and the Family Stone, the Isley Brothers), jazz-funk (Miles Davis, Herbie Hancock), monster funk (Parliament, Funkadelic, Bootsy's Rubber Band), naked funk (Rick James, Gap Band), disco-funk (Chic, K.C. and the Sunshine Band), funky pop (Kook & the Gang, Chaka Khan), P-Funk Hip Hop (Digital Underground, De La Soul), funk-sampling rap (Ice Cube, Dr. Dre), funk rock (Red Hot Chili Peppers, Primus), and more. Funk tells a vital, vibrant history-the history of a uniquely American music born out of tradition and community, filled with energy, attitude, anger, hope, and an irrepressible spirit. George Clinton - Author of introduction, etc.